Just a short (but exciting, for me anyways) post today. October 18th, 2016 – it was a simpler time: the Blue Jays were still a contender for the World Series, the third US Presidential debate still hadn’t taken place, and Anthony Spiteri was still a Veeam Vanguard (massive congrats to him!). Meanwhile, I happened to catch the latest Tech Field Day Extra, which was great because I didn’t even know that it was going on. The stars must have been aligned because Paessler (the makers of PRTG) were presenting. The timing couldn’t have been better as I am currently evaluating their solution (which I quite like so far). Something cool happened shortly after the event ended – I had a new Twitter follower: Stephen Foskett (cool!). 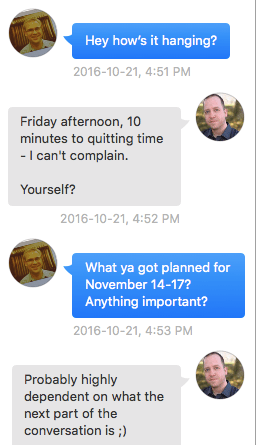 Fast forward to this past Friday – it’s getting near the end of the work day when I notice I have a new DM (see the image to the right for a snippet). Needless to say, I quickly got excited … but I had to clear everything at work (hence the waiting for Monday). More importantly, I had to make sure my wife was onboard with it. I feel bad when I travel and need to leave her with the kids, but she was %100 excited for me and told me to go for it. Thanks buddy! So, with all of that, I am extremely happy to say that I’ll be heading to Tech Field Day 12! I am super excited about this opportunity, one that I would have never guessed that I would have been presented with. I’ve watched the Tech Field Day events for years now, after first hearing about them from Matt Simmons. 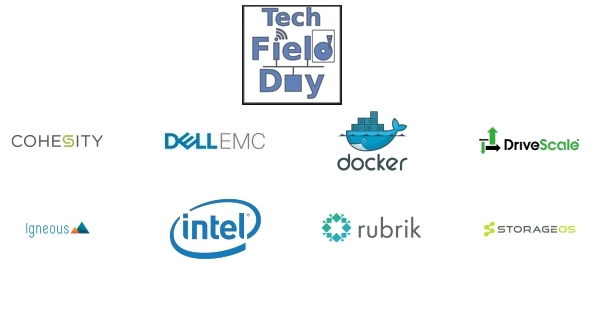 For those of you who aren’t familiar with Tech Field Day, it is an event that is organized by Gestalt IT, and sponsored by vendors. Typically somewhere around 12 or so delegates are invite to each event, where all expenses are paid. The job of the delegate is to sit in front of the vendors and dig into the nitty-gritty details of how their products work. The events are live streamed at techfieldday.com, and viewers can follow along on Twitter. Oddly enough, I have been paying close attention to this iteration (Tech Field Day 12) since I read the lineup a few weeks ago. There are some vendors and technologies that I would love to learn more about, so that’s pretty cool. I’m also excited to see some old friends and acquaintances and make new ones as well. See you in November! Dude, congrats! Enjoy it, have fun, and meet cool people!